The United States is experiencing a wide range of climate impacts from major hurricanes in the South to unprecedented numbers of wildfires in the West to crop-destroying drought in the Mid-West. In October, the General Accounting Office reported that the US has spent over $350 billion in the last decade on disaster relief and crop insurance, not counting this year’s hurricanes. These costs will continue and rise. We are past the time to make a major commitment to the transformation we need to mitigate and adapt to the climate crisis. Imagine the benefits that such a commitment would have in creating a cleaner environment, better health and more jobs and, if structured in a way that is democratized and benefits the public, in ending environmental racism and economic injustice. The 23rd session of climate talks is taking place right now in Bonn, Germany. The United States formally withdrew from its commitment to the Paris climate treaty, but delegations of people from the US are in attendance to show their commitment to addressing the climate crisis. A group of organizations, such as 350.org and Indigenous Environmental Network, presented their climate platform as “the people’s delegation.” They are calling for a just transition to a fossil-free future and an end to market schemes to offset carbon use. The people are expressing their demands for more action on the climate in multiple protests around the COP23. 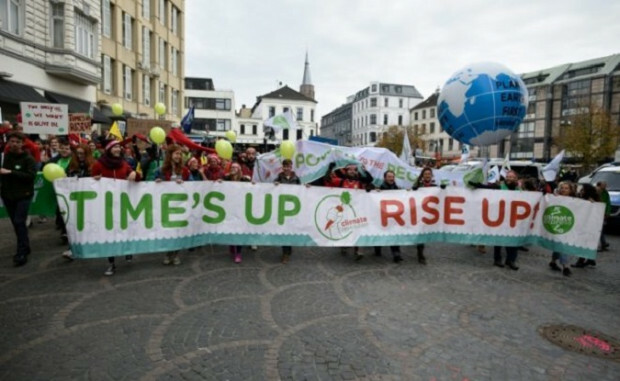 Ahead of the climate talks, on Saturday, November 4, tens of thousands of people marched in Bonn to demand an end to fossil fuels. The march kicked off a series of direct actions and alternative events to take place during the talks. 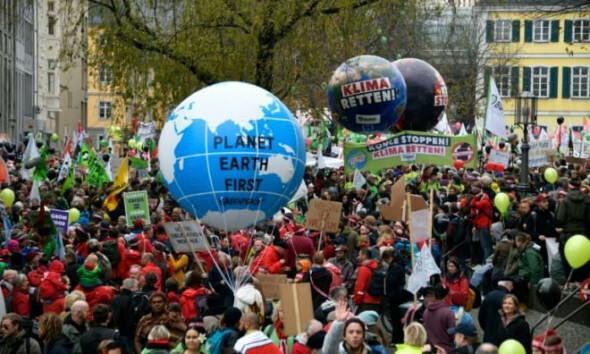 On November 8, the one year anniversary of the election of Donald Trump, activists organized a “Climate Genocide” day of action in Bonn and around the world. On Saturday, November 11, thousands marched in Bonn again to protest the use of nuclear energy. The talks conclude on November 17. If there is to be any possibility of mitigating the climate crisis, then action must be taken immediately to end the use of dirty energy, otherwise lower carbon emissions and sequester carbon. While some are saying that we have 18 years before we hit the limits of our “carbon budget,” scientists Stephen Davis and Robert Socolow report that when all sources of carbon and carbon commitments are taken into account, we will hit the limit in 2018. Organizations and government agencies have pointed out that the Paris climate treaty goals are not enough to mitigate the climate crisis. On Tuesday, the United Nations Environment Program released a report calling for faster and more rapid cuts in emissions than are outlined in the treaty. This can be achieved by closing coal plants and moving to renewable sources, improving energy efficiency, protecting and planting more forests and changing agricultural practices to sequester carbon in soil. The good news is that it is possible to reduce carbon quickly, and it will lower energy costs, improve health and create jobs. A study released at the COP23 shows that we can move to zero carbon energy worldwide by 2050. This would be largely based on solar energy with additional energy from wind, water and a small percentage from biomass, although biomass is not considered to be a sustainable source of energy. Just as is necessary for other struggles, achieving our goals of mitigating the climate crisis in a way that is sustainable and equitable will require the dual track approach of resistance and constructive programs. There are signs that this work is being done in the North America. There is strong opposition to pipelines throughout the United States, from the ongoing fight against the Dakota Access Pipeline to the Bayou Pipeline to multiple pipelines in Michigan, Pennsylvania, Maryland and West Virginia, Virginia and North Carolina. And efforts continue to stop the first fracked gas refinery and export terminal on the East Coast as it nears completion. The terminal being built by Virginia-based Dominion Energy in the Cove Point neighborhood of Maryland (the first to be built in such a densely-populated area) will drive fracking in the Utica and Marcellus shales and raise gas prices in the US. Pipeline companies report that their biggest problem is opposition to their projects. It should come as no surprise that the industry is fighting back. This was very obvious in the #NoDAPL protests at Standing Rock. Chase Iron Eyes, who is being prosecuted for inciting a riot against the Dakota Access Pipeline, will be using a necessity defense to demonstrate that he was acting out of necessity to protect water his family relies on. This week, pipeline protesters in Massachusetts were met with police dogs and stun guns. Mark Hand recently discovered that the industry is “in the ‘early stages’ of putting together a campaign to counter opposition to fracking and pipelines,” including creating grassroots groups. Some communities are protecting themselves by banning projects. South Portland, Maine has spent over $1 million to defend its pipeline ban. Ohio activists recently won a court victory allowing them to vote on local fracking bans. Others are taking on the banks that fund the projects. 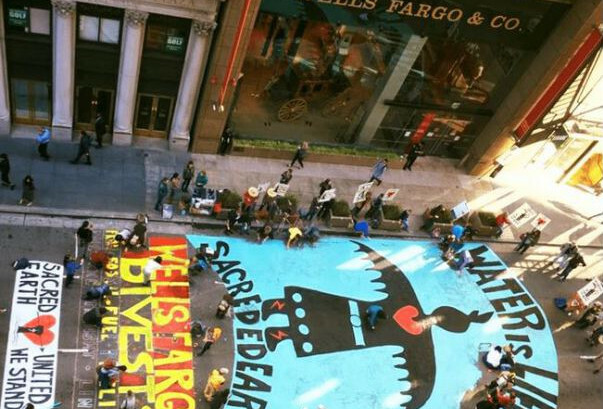 On Monday, more than 200 people painted a giant mural on the street in front of Wells Fargo, creating an effective street blockade in the process. Food is a large contributor to carbon emissions through animal cultivation for meat, destroying forests for crops and transportation of food over long distances. The UN urged this week that we move to a meat-free and dairy-free diet for the climate (and it would also be good for our health). If we are to have a livable future, we must act rapidly. Failure to act will have devastating impacts. Studies suggest that there may be as many as one billion climate refugees by 2050. 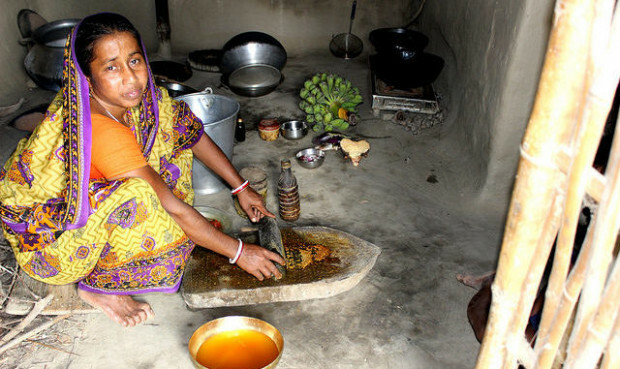 Climate change is contributing to migration into cities and poverty, causing food insecurity. People in North America are not immune to this, as recent hurricanes, wildfires and droughts reveal. The climate crisis is also bad for our health and will cause an additional 250,000 deaths per year. In addition to direct effects, such as heat stroke, injuries from catastrophes and longer allergy seasons and mental health impacts from stress, the climate crisis is also increasing vector-borne diseases. Every crisis offers an opportunity for radical positive transformation. As we act to address the climate crisis, let’s do it in ways that change systems so they are equitable, just and non-discriminatory. Our actions to mitigate and adapt to climate change can work to democratize the economy through cooperatives, energy creation by individuals on their rooftops and land, public banks and gift economies, to improve our health through clean water, air, organic foods and low cost public transit, and to bring peace to the world by ending US imperialism. It can be so, if we act with intention to make it that way. I wrote this for a Fort Stockton, TX, audience, but these highlights–from the Climate Science Special Report that the U.S. Global Change Research Program recently released–pertain more generally. That program was initiated under the first president Bush.